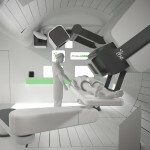 JACKSONVILLE, Fla. – In an agreement with the Norway Health Authority, UF Proton Therapy Institute will treat both children and adults who have rare tumors in the nasal and sinus cavity, skull, and brain. 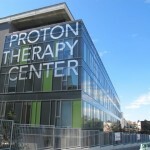 Currently there are no medical centers in Norway that offer proton therapy, and for cancers in highly sensitive areas, proton therapy provides patients a superior treatment that also minimizes risk of damage to vision, hearing and brain function. 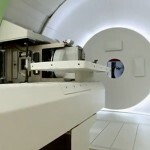 UF Proton Therapy Institute has a similar arrangement with the United Kingdom’s National Health Service, which has referred approximately 200 children and adults for proton therapy in Jacksonville since 2010. Since opening in August 2006, UF Proton Therapy Institute has achieved international recognition for excellence in delivering proton therapy. The pediatric program is the largest proton therapy practice in the world, with an average of 25 children on treatment daily. UF Proton Therapy Institute is a nonprofit organization affiliated with the UF College of MedicineUF, dedicated to delivering state-of-the-art cancer treatment and setting new standards for treating and curing cancer. The cancer treatment facility houses both conventional radiation and proton therapy, and delivers proton therapy to 110 patients a day. 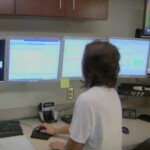 For more information about the UF Proton Therapy Institute, please visit www.floridaproton.org, or call toll-free 877-686-6009.